The manufacturer is in line to supply 100 of its V164-9.5MW turbines for the project in the Outer Moray Firth. The Moray East site, jointly owned by EDP Renewables (77%) and Engie (23%), was awarded a £57.50/MWh (€64.10/MWh) contract for difference (CfD) by the UK government in September, and is to be built by 2022. 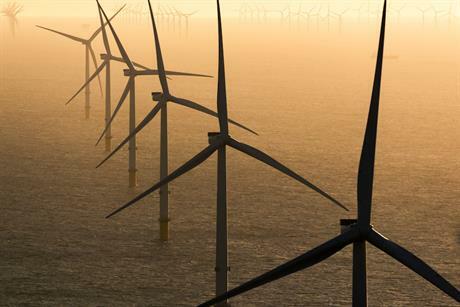 The V164-9.5MW, launched in June, has also been chosen for Innogy's 860MW Triton Knoll project, meaning it has been selected for two of the three offshore wind projects to secure support in the UK's support auction last month. The V164-9.5MW machine is to be tested and verified at Clemson University’s 15MW test bench in South Carolina, MHI Vestas announced last week. Last week, VBMS signed a preferred bidder agreement for the supply, installation, burial, termination and testing of approximately 100 66kV inter-array cables for the site. The cabling work will begin at the "start of the next decade", a VBMS spokeswoman stated. And vessels specialist Geosea signed an agreement with EDPR and Engie for the engineering, procurement, construction and installation (EPCI) of the project's turbine foundations and three substation platform foundations. The work also includes the transport and installation of the three offshore substation platforms. All the contracts are subject to financial close which is expected to take place in the second half of 2018.